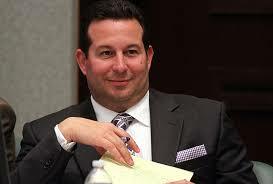 WOW, IMAGINE THAT … JUDGE FROM CASE THINKS CASEY ANTHONY KILLED HER DAUGHTER CASEY … WHO DOESN’T THINK SHE KILLED HER? In an interview with the Orlando Sentinel, former Orange-Osceola Circuit Judge Belvin Perry Jr. provided his theory where he believed that tot-mom Casey Anthony killed her daughter, Caylee Anthony, by trying to quiet the child with chloroform. According to Belvin’s theory, she accidentally used too much, resulting in the death of Caylee. With this theory, Belvin said, and if jurors had come to that conclusion, they might have found her guilty of second-degree murder or manslaughter. During the interview Perry stated that he did not find fault with the verdict but said evidence showed that Anthony had gone online to research how to use chloroform as a sedative. Sorry, former Judge Perry may not fault the “Jury of Fools,” but I do. There is no question Casey Anthony should have been convicted of murder, the jury did a great disservice and provided no justice for Caylee. It is something that will haunt them all, the rest of their lives. 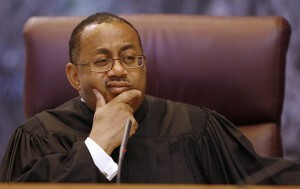 Former Circuit Judge Belvin Perry Jr. on Wednesday said he believes Casey Anthony may have killed her daughter by accident when she tried to quiet the child with chloroform and simply used too much. The judge who presided over Casey Anthony’s murder trial says the Florida mother may have killed her 2-year-old daughter by accident. Anthony may have been trying to quiet the child, Caylee, with chloroform and accidentally used too much, former Circuit Judge Belvin Perry Jr. said Wednesday in an interview with the Orlando Sentinel. “There was a possibility that she may have utilized that to keep the baby quiet … and just used too much of it, and the baby died,” he said. “As I’ve expressed, the only person that really knows what happened was Casey,” he said. Perry didn’t fault the verdict but said evidence showed Anthony had gone online to research how to use chloroform as a sedative.